New Haven Baptist Church / Project 145 / Why Project 145? At New Haven Church, we are commited to partnering with parents in teaching and discipling children and youth. We have an incredible opportunity to share the gospel with a new generation and our desire is to do this with excellence, in the best possible environment for them to learn. Our current obstacle is that we have one classroom that is being used by two children’s classes (at the same time) and also by the youth group. We also have a children’s class that meets in a room in the nursery and another class that meets in the atrium, right by the front door. Project 145 supports our mission statement: Glorify God. Make Disciples. The project provides an ideal educational environment for our children to learn without distractions. A space large enough to enable participation in a variety of ways and where every age group has their own room, including the youth group with a large meeting room. The plan also offers opportunity for adult classes. 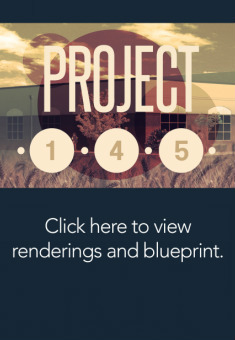 Project 145 opens up a lot of possibilities for our church. We have even designed this building with the hope of one day starting a full time school. We hope that you will join with us in investing in the next generation! Watch our Project 145 video for more information.